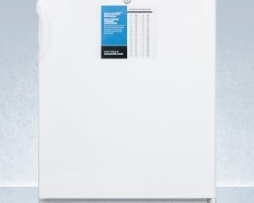 Summit FS407LBIVACADA 2.8 cu.ft. 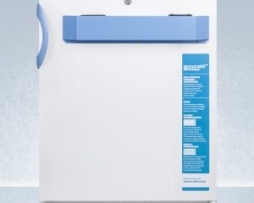 Undercounter Vaccine Medical Freezer ADA Compliant is specially designed to store vaccines with more temperature stability with a measurement of 32.5″ H x 21.0″ W x 21.38″ D. 20″ wide built-in manual defrost freezer for vaccine storage. 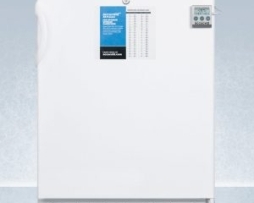 Summit FS407LBIVAC 2.8 cu.ft. 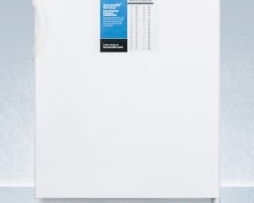 Undercounter Vaccine Medical Freezer specially designed to store vaccines with more temperature stability with a measurement of 33.75″ H x 19.25″ W x 21.38″ D. 20″ wide built-in manual defrost freezer for vaccine storage. 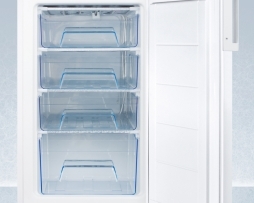 Summit FS407LBI7PLUS2ADA 2.8 cu.ft. 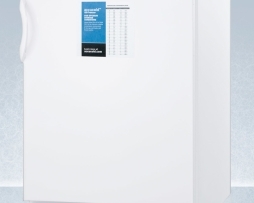 Medical Refrigerator that includes a NIST calibrated thermometer with a measurement of 32.5″ H x 19.25″ W x 21.38″ D.
Summit FS407LBI7PLUS2 2.8 cu.ft. 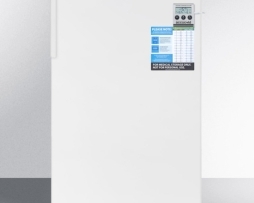 Undercounter Medical Freezer that includes a NIST calibrated thermometer with a measurement of 34.0″ H x 19.25″ W x 21.38″ D.
Summit VT65MLPROADA 3.2 cu.ft. 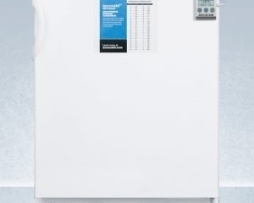 Undercounter General Purpose Medical Freezer with factory-installed probe hole accommodates user-provided monitoring equipment with a measurement of 32.25″ H x 23.63″ W x 23.5″ D.
Summit VT65MLPRO 3.2 cu.ft. 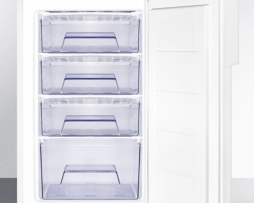 Undercounter General Purpose Medical Freezer with factory-installed probe hole accommodates user-provided monitoring equipment with a measurement of 33.5″ H x 23.63″ W x 23.5″ D.
Summit VT65MLBIPLUS2ADA 3.2 cu.ft. Undercounter Medical Freezer NIST calibrated thermometer with current and high/low temperature readout with a measurement of 32.25″ H x 23.63″ W x 23.5″ D.
Summit VT65MLBIPLUS2 3.2 cu.ft. Undercounter Medical Freezer NIST calibrated thermometer with current and high/low temperature readout with a measurement of 33.5″ H x 23.63″ W x 23.5″ D.
Summit VT65MLBI7PLUS2ADA 3.2 cu.ft. Undercounter Medical Freezer NIST calibrated thermometer with current and high/low temperature readout with a measurement of 32.25″ H x 23.63″ W x 23.5″ D.
Summit VT65MLBI7PLUS2 3.2 cu.ft. Undercounter General Medical Freezer NIST calibrated thermometer with current and high/low temperature readout with a measurement of 33.5″ H x 23.63″ W x 23.5″ D.
Summit VT65ML7PLUS2ADA 3.2 cu.ft. Undercounter Medical Freezer NIST calibrated thermometer with current and high/low temperature readout with a measurement of 32.25″ H x 23.63″ W x 23.5″ D.
Summit VT65ML7PLUS2 3.2 cu.ft. Undercounter Medical Freezer NIST calibrated thermometer with current and high/low temperature readout with a measurement of 33.5″ H x 23.63″ W x 23.5″ D.
Summit VT65MLBI7MED2ADA 3.2 cu.ft. 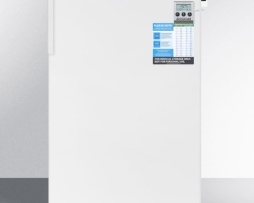 Undercounter Medical Freezer designed and constructed to meet strict CDC and VFC refrigeration guidelines with a measurement of 32.38″ H x 23.63″ W x 23.63″ D. 24″ wide built-in ADA height -25ºC manual defrost medical all-freezer with digital thermostat, lock, and alarm. 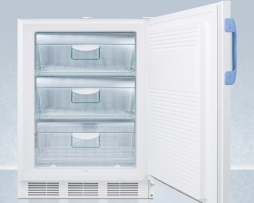 Summit VT65MLBI7MED2 3.2 cu.ft. 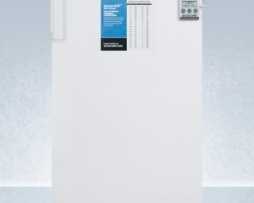 Undercounter Medical Vaccine Freezer designed and constructed to meet strict CDC and VFC refrigeration guidelines with a measurement of 33.75″ H x 23.63″ W x 23.5″ D. 24″ wide built-in -25ºC manual defrost medical all-freezer with digital thermostat, lock, and alarm. Summit VT65MLBIMED2ADA 3.2 cu.ft. 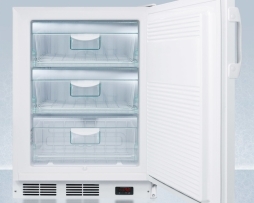 Undercounter Medical Freezer designed and constructed to meet strict CDC and VFC refrigeration guidelines with a measurement of 32.38″ H x 23.63″ W x 23.63″ D. 24″ wide built-in ADA height -25ºC manual defrost medical all-freezer with digital thermostat, lock, and alarm. 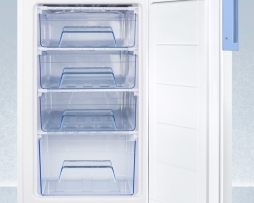 Summit VT65MLBIMED2 3.2 cu.ft. Undercounter Medical Vaccine Freezer designed and constructed to meet strict CDC and VFC refrigeration guidelines with a measurement of 33.75″ H x 23.63″ W x 23.5″ D. 24″ wide built-in -25ºC manual defrost medical all-freezer with digital thermostat, lock, and alarm. Summit FS407LBIMED2ADA 2.8 cu.ft. 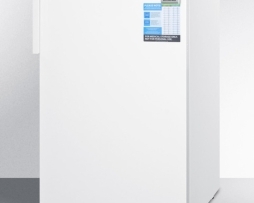 Undercounter Medical Freezer ADA Compliant designed and constructed to meet strict CDC and VFC refrigeration guidelines with a measurement of 32.25″ H x 19.5″ W x 23.0″ D. 20″ wide built-in ADA height manual defrost freezer with digital controls for medical use. Summit FS407LBIMED2 2.8 cu.ft. 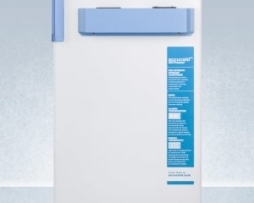 Undercounter Medical Vaccine Freezer designed and constructed to meet strict CDC and VFC refrigeration guidelines with a measurement of 34.0″ H x 19.5″ W x 23.0″ D. 20″ wide built-in manual defrost freezer with digital controls for medical use. 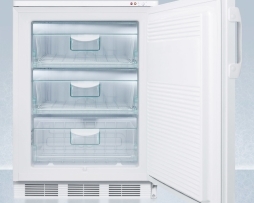 Summit FS407LBI7MED2ADA 2.8 cu.ft. Undercounter Medical Freezer ADA Compliant is designed and constructed to meet strict CDC and VFC refrigeration guidelines with a measurement of 32.25″ H x 19.5″ W x 23.0″ D. 20″ wide built-in ADA height manual defrost freezer with digital controls for medical use.